If wine is the nectar of the gods, what is coffee? The elixir of life? I shared a little of my coffee story yesterday. So while I love wine, you’ll understand why I’d give it up for coffee! Luckily I don’t have to. And with the large quantities of really great coffee in San Francisco, I have coffee shops available to me at every corner. But with so many to select from, where does one lay their loyalties? A good product is important. Then add people and a story and you’ve got me. Coffee Cultures has it in spades. It was headquarters for Standard Oil for half a century. The lobby is pretty fancy with beautiful marble and red accents, beautiful. 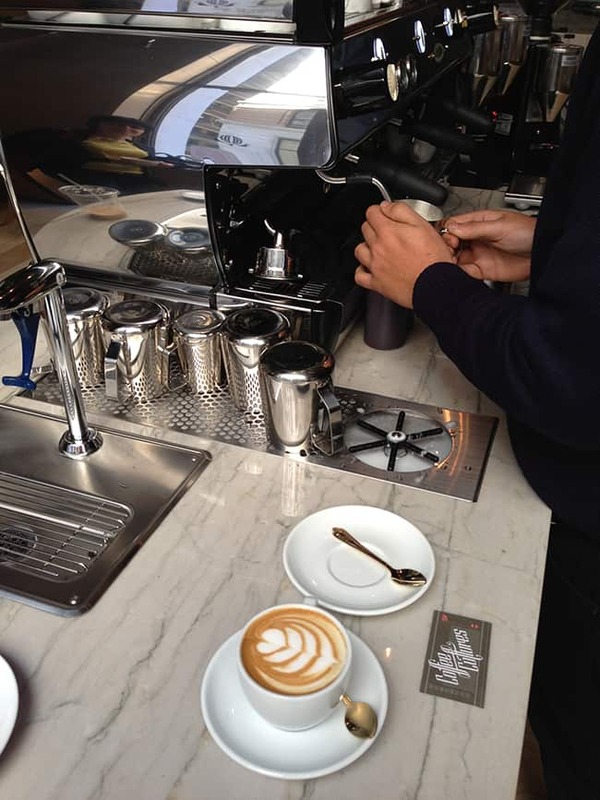 There have been other coffee shops in the spot that Coffee Culture now possess, but no one went to the lengths to strip the interior of the space to its original classical beauty including exposed ceiling concrete, walls with the original stone treatment and the travertine tile floor. I was lucky enough to meet Gordana Jordanovska, the lead designer during my initial visit and she happily shared more design details. There are more than 8 different types of reclaimed wood from fallen barns that were carefully sourced from Washington, California, and Ohio and are part of the core design of the space. There were over 900 pieces of wood all assembled in San Francisco. There are no tables. This spot was designed to instill a sense of community. In most coffee shops you sit down and get lost in your device. 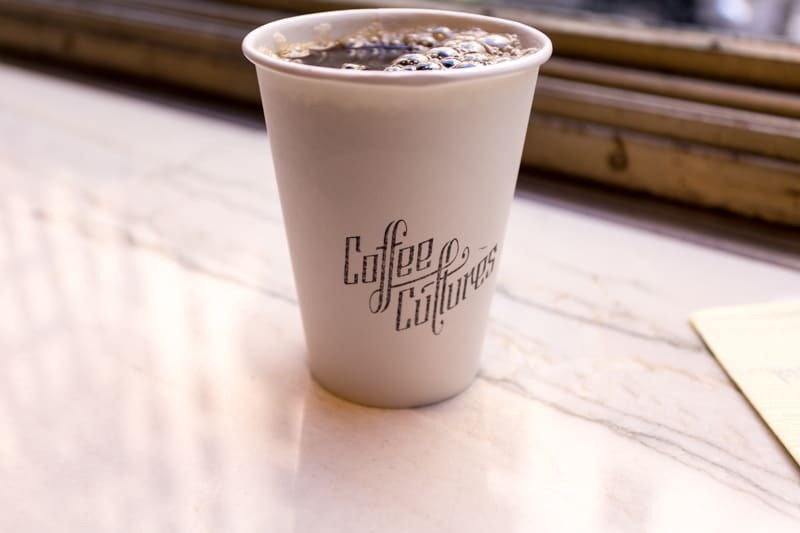 At Coffee Cultures, you stand at the window, setting your coffee on the beautiful marble ledge (a nod to the marble in the lobby) and either people watch outside or talk to your neighbor or the staff inside and interact. With humans. If they had their way, there would be no menu. They want every order to start with a conversation. What do you like? What do you feel like? And that care is reflected in every detail like the aprons created by a company in the Mission. To the gold spoons, a secret tongue and cheek nod to the opulence of post-Depression when good coffee was a luxury most people couldn’t afford. At Coffee Cultures everyone has access to it. The gold detailing is reinforced in the logo and other touches in the shop. But this is a coffee shop. So you are probably wondering about that. It’s good. Darn good. I have been back several times trying something new each time. And each time it has been very good coffee. On my first trip over, I had an opportunity to speak with Cody, head coffee lover at Coffee Cultures. I asked him to share a little more about the coffee, the shop and the San Francisco coffee scene in general. Tell me a little about Counter Culture coffee. 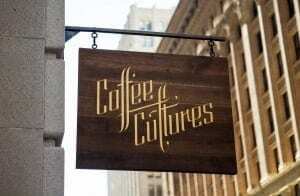 Counter Culture (the coffee that is served at Coffee Cultures and the only shop in San Francisco that does) is one of the biggest coffee roasters in the country. Based in North Carolina, they source their coffees directly from farms. A lot of times in coffee producing countries big coffee importers go in looking for quantity, so the farmers with fewer hectares of land get looked over simply because it isn’t worth the companies time to hash out a deal with such a small payoff. This leaves a whole host of coffee farm owning families and communities who want to produce but have nobody to buy. Counter Culture specializes in working with those families and communities to bring their coffee to the next level and to establish the kind of relationships that foster growth and quality on both ends of the spectrum. They also publish their buying and selling record with farms in a completely transparent business model that lays out exactly what they paid for which coffees which pushes the envelope in terms of fair prices. 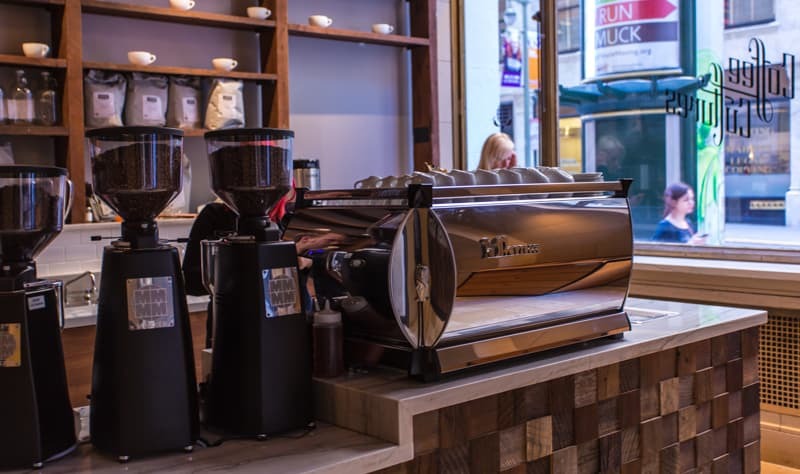 How do you differentiate yourself from other coffee spots around the city? The task isn’t necessarily to differentiate but to expand. 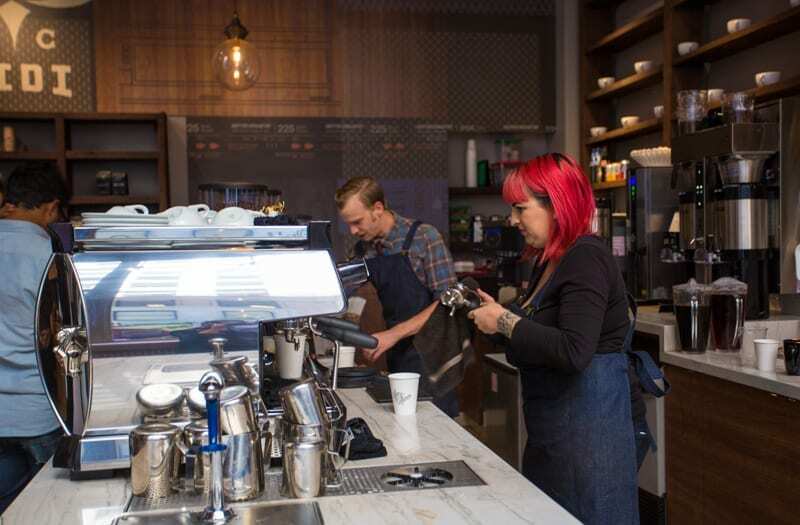 For myself, the Bay Area coffee community is an outstanding example of excellent coffee and service. While places like Four Barrel, Ritual, Sightglass and all of the amazing companies around here have put in the work and long years to raise the bar on coffee it is still up to us to expand our audience. One way in which we do that is by taking a culinary approach to our craft. We have two espresso grinders going at all times and depending on your drink you’ll get a different espresso. We keep a nice chocolaty espresso for our milk based drinks, but for those espresso lovers, we always have something else up our sleeve. Right now we have a crazy raspberry like Ethiopian Yirgacheffe as a single-origin espresso and we’ve been serving it up with a raspberry on the plate as well. It’s those small touches that really drive home to the die-hards that we are serious, but at the same humility is the key to making great coffee. 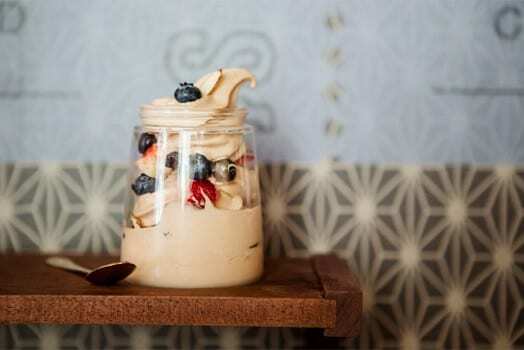 Understanding that the interaction inside of our shop is all about the two-way conversation, we went a little further in making our own in house vanilla for drinks. The caveat is that everything we do is intentional, there is no need for us to cover anything up, but only accentuate it, so our vanilla also has cardamom in it, which really brings out some of the spicier flavors in our espresso as well. Our Fro-Yo machine gives us another opportunity to explore our own creativity. We get Strauss plain yogurt base and we mix the chocolate ourselves. Very early on we realized the space this gave us for creating our own flavors and to really push our own imaginations. We’ve talked about chocolate and chili powder, sea salt or even rose water. Everything we do has intent and thoughtfulness and that is what we want to push innovation. 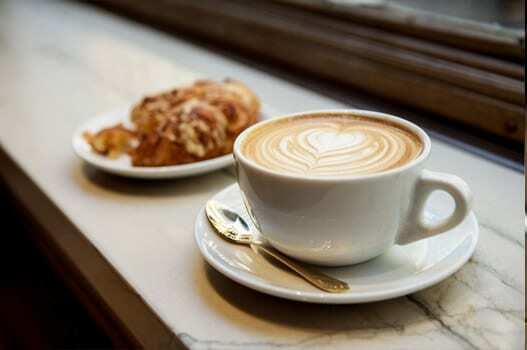 What do you think is unique about San Francisco’s coffee culture (say as opposed to a Seattle or Portland)? San Francisco is completely influenced by the larger context that it exists in. The Bay Area is a huge metropolis that extends from the City out to the far reaches of the BART line. What is different is that we pass through an entire myriad of cities and towns and still call it the Bay. Our culture here is uniquely positioned to embrace different aspects of life and it forces us to relate to one another. So while places like Portland and Seattle do have their urban city centers we always take into account the places that aren’t so compact. 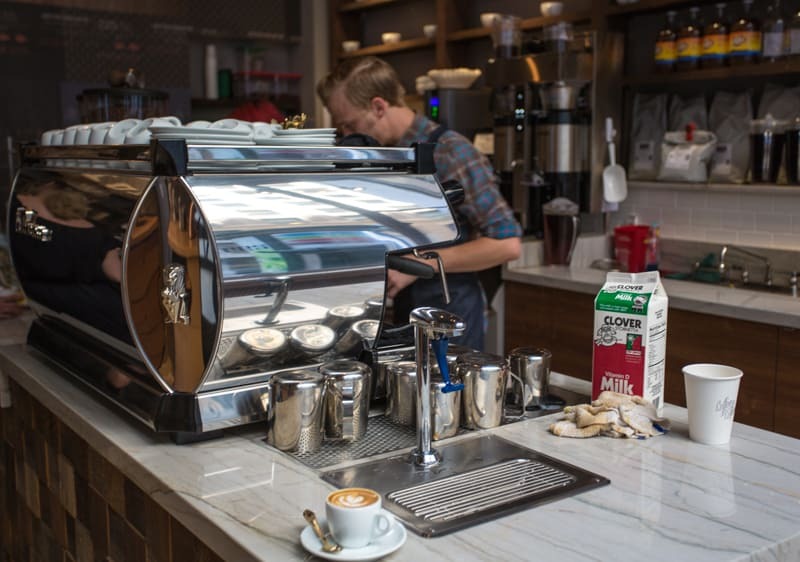 There are plenty of coffee options in San Francisco’s Financial District, but I am not sure that they are as passionate about getting it right as Coffee Cultures. How about you? Do you have a favorite coffee shop? Why is your favorite? Time for a second cup? 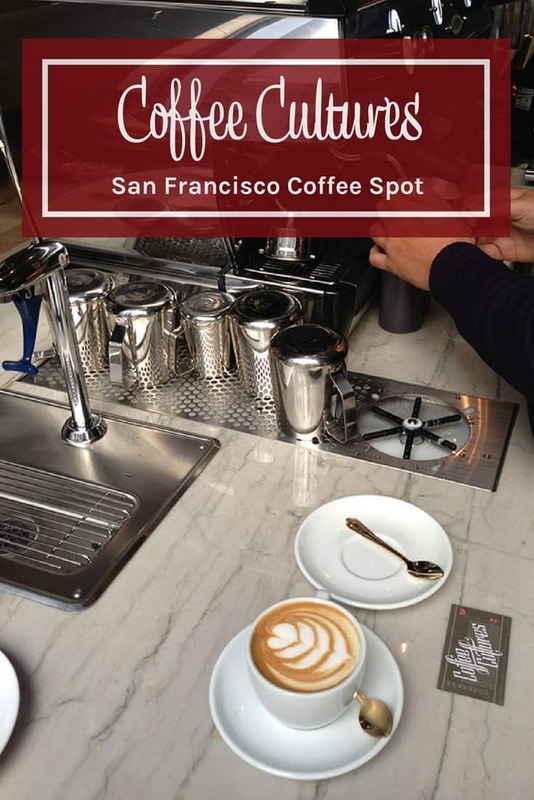 Check out my San Francisco’s Coffee Culture Wanderlist on AFAR. Or see my collection of cool coffee spots around the world in Come in for a Cuppa. Ever wonder how to order coffee in Paris? My guide might help! I’ll have to seek this place out. I have booked my San Francisco trip and will be staying in Union Square with the Westin so I don’t think it is too far away. Look forward to potentially meeting with you Andi! I will have to try to get to Coffee Cultures the next time I am in The City. I don’t drink coffee much, but I can appreciate a good cup when it comes by. Doesn’t sound like this will disappoint!?!? Thanks for the tip and the history lesson! Ahhhhhh I’m obsessed with this post!!!!!!! I literally want to fly to SF right now and drink every cup of coffee I can get my hands on haha. This place looks amazing. Next time I’m in San Francisco I’ll check it out. We have some great locally owned coffee shops here in Reno. My favorite is Hub Coffee Roasters started by a father and son. The coffee is great and it’s a nice relaxed atmoshphere. Just added this place to my place to visit when we go on vacation to California this fall. The coffee looks awesome and the so does the atmosphere. @Amber, it is a great spot and super friendly, tell them you heard about them from me! I’m a simple girl….. just point me to a starbucks and i’m good 😉 lol!